ESPN parted ways with Adler in January 2017 after the "gorilla/guerrilla" controversy, and he sued them the following month. The sides have now settled that lawsuit. 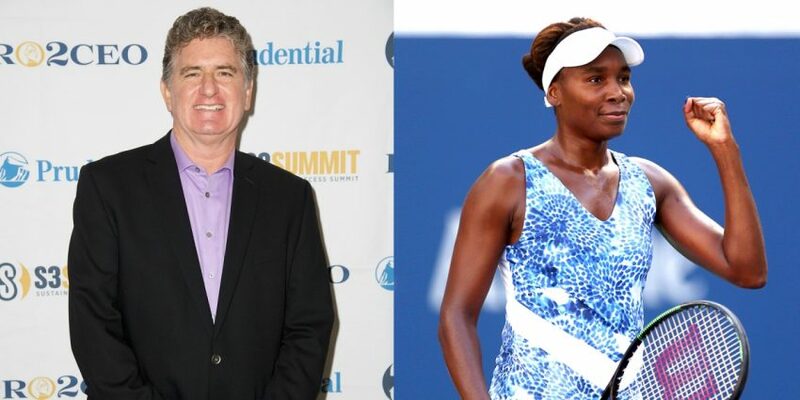 Back in January 2017, tennis announcer Doug Adler wound up in the middle of a controversy thanks to his commentary on an ESPN broadcast of Venus Williams’ win over Stefanie Voegele in the second round of the Australian Open. That led to ESPN deciding not to work with him any further and to him filing a wrongful termination lawsuit that February, which a judge ruled last June could proceed to trial despite ESPN’s counterarguments. As per Phil Mushnick of The New York Post, ESPN has now settled with Adler, and they might even employ him on air again. This all started with Adler’s on-air comments during that Williams-Voegele match. Some thought Adler said “You see Venus move in and put the gorilla effect on, charging” and bashed him for that. He insisted that he’d said “guerrilla effect,” but apologized for how he “simply and inadvertently chose the wrong word,” one that could be mistaken for something with racial implications. ESPN removed Adler from his remaining assignments for that tournament but still paid him for seven days of work. He sued ESPN that February, and that March, he suffered a heart attack and told Fox Sports Radio’s Clay Travis his doctors attributed it to stress. Last June, a Los Angeles superior court judge ruled Adler’s lawsuit could proceed to court, overruling ESPN’s motion for dismissal. Mushnick writes that the sides recently settled that case, with the ascension of new ESPN president Jimmy Pitaro perhaps playing a role there. Sources claim — without ESPN’s dispute — that Adler received a monetary settlement and has even been returned to ESPN’s payroll and could return to work tennis events for the network. No official apology was granted him, but such an agreement certainly leans toward ESPN’s tacit admission that Adler was done wrong. It would be quite something to see Adler on the ESPN airwaves again, given how public that dispute and lawsuit became. But things do change, and ESPN under Pitaro has already changed course on several fronts, including the NFL, the UFC, and discussions of politics. And Bristol is a place where some once-napalmed bridges can be rebuilt, sometimes even multiple times. So an on-air return for Adler isn’t necessarily out of the question, even if it would seem pretty unusual to put someone who’d sued them on the airwaves again. At any rate, it’s certainly notable that ESPN’s settled Adler’s lawsuit, and we’ll see if that leads to anything else.